NOTE: You can create a USB recovery drive using ANY Windows computer running XP or above. You could probably even do it on a Linux machine. You just need to be able to format the USB drive as FAT32 and extract .zip files! It will take a while, so feel free to find something else to do for a while. It’s probably time to wash the dishes or mow the lawn or something anyway. 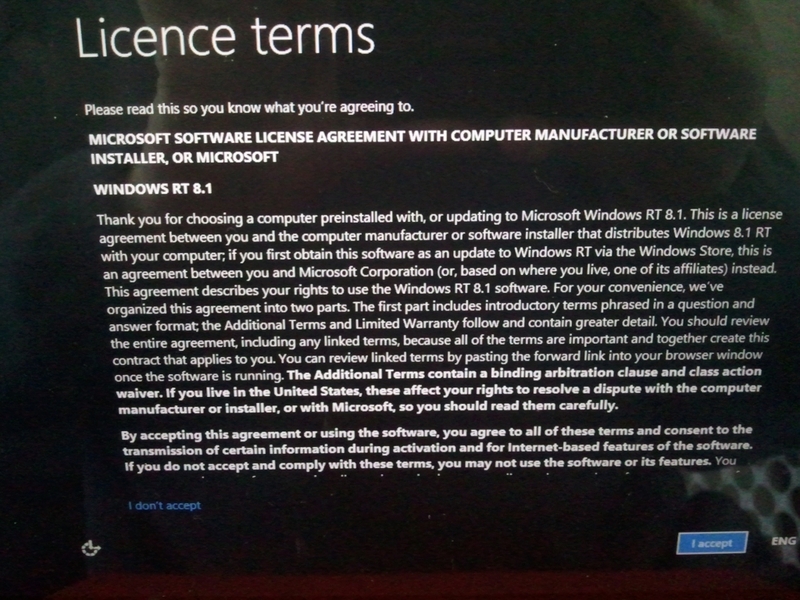 When it finally finishes, you will get the License Terms screen followed by the rest of the tablet setup steps. If you got to that point then the USB must be working because that’s where the recovery stuff is running from. At the rebuild step is it not seeing the Surface drive and giving you the choice of C:\windows? Did you get a prompt about the drive being encrypted? Is this a Surface RT, and what is the error you actually see that you are trying to fix? It depends on how you created the recovery disk if the Encryption prompt appears, that’s why I have that step as “If you get a message” to go to another set of instructions. In most cases it doesn’t appear. Oh… My bad I’ve just reread the step again. 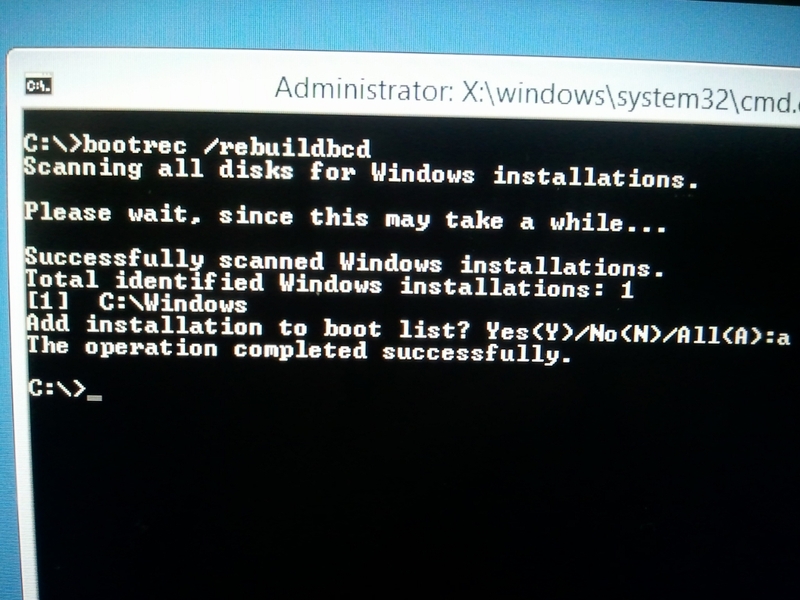 Also everytime I input C:\> bootrec /rebuildbcd I get this reply “successful scanned windows installation. Total identified windows installations: 0 the operation completed successfully.” will I need to install window again on this computer because it is not being found? Possibly. Did you create the boot disk using the same type of machine? It might be that the recovery disk is missing the drivers that let it see the disk. If you do have a windows DVD then try booting with it and do a repair install as the DVD often has more drivers included that may help. I’ve got the USB recovery now (tried with a disk as well but no luck) and I physically cannot get anything from my laptop. Just that same error message, I’ve followed these instructions (as well as others) and just nothing, nothing comes up. But it is that exact message. What can I do? If you have a windows DVD you can try booting with it and seeing if it recognises the old install and offers a repair or a new install where it makes a copy of the old one. Alternatively, if you don’t have the means, something like a usb adapter will allow you to connect the laptop to another computer and see if it can access the data. You may need to find a friend or take it to a shop that can do computer repairs. hi, i lived in UAE and bought the RT here in abudhabi. i’ve created file with the USB, but during power up+volume button (step 2) nothing happened to my surface, only the same blue screen with the error code. Sometimes you might need to try a couple of times to get it to boot to the USB key if you don’t press the buttons correctly. Also, many times the USB key is the problem. Try creating it again, or try a different USB key as most times that seems to be the main cause. I don’t really understand what you are saying or asking. If you are seeing something different to what I have described then you most likely have a different problem. Do you think this process will work for that too? That error code indicates a different problem. Did you install some new updates recently and does you computer restart back into Windows again? You may need to look at removing and recent updates you applied, and then try installing them one at a time to see which causes the problem. If you have access to another Windows 8 computer you may be able to use that to create a recovery disc. 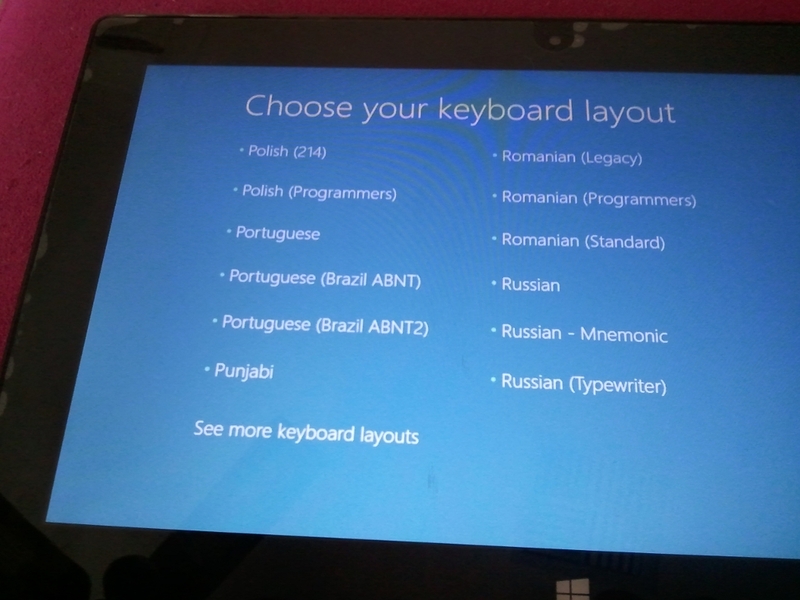 Alternatively, try this link: http://windows.microsoft.com/en-gb/windows-8/upgrade-product-key-only and try using the producy key that should be attached to the computer. I don’t know if that download will work, but maybe worth trying. I don’t really know what your specific issue is, so I can’t say if it is a “Winows8 issue” or not. Things do go wrong with computers, but there is no significant issue like this that is Windows8 specific that I am aware of. Without knowing specifically what you have done it’s hard to say. The best chance might be to use the recovery disk to boot, then see if you have the option to perform a system restore to the last save state. Alternatively, if you do just do a new install it should make a backup of your existing data in a windows.old folder that you can retrieve your files from. In some cases it may even just repair the existing installation like new. First thing to do is create the recovery disk, then copy of any files you need just to be sure. The problem remains I have too much %$#@ on the machine (which I believe is what got me here in the first place!) and after fumbling through, doing as I was instructed -sometimes via “eeny meeny miney moe” no bells and whistles went off, no lights-a-flashin’ no “SUCCESS” OR “CONGRATULATIONS” but after following the prompts and ultimately shutting down, this baby has been purrin’ for me. So all this to say – thanks Scott. Glad I was able to offer some assistance. Regarding issues about lack of space, I recently went through that with my daughters Surface as well. The simplest solution is to buy a micro-SDXC card, I’d recommend at least 32GB, and insert it into the slot behind the kick stand. You can then move all your documents, pictures, movies etc into it and free up plenty of space on the surface. You can get them quote cheaply now. Just make sure you ask for the MICRO sdXc version. thank you.. it works for me!! 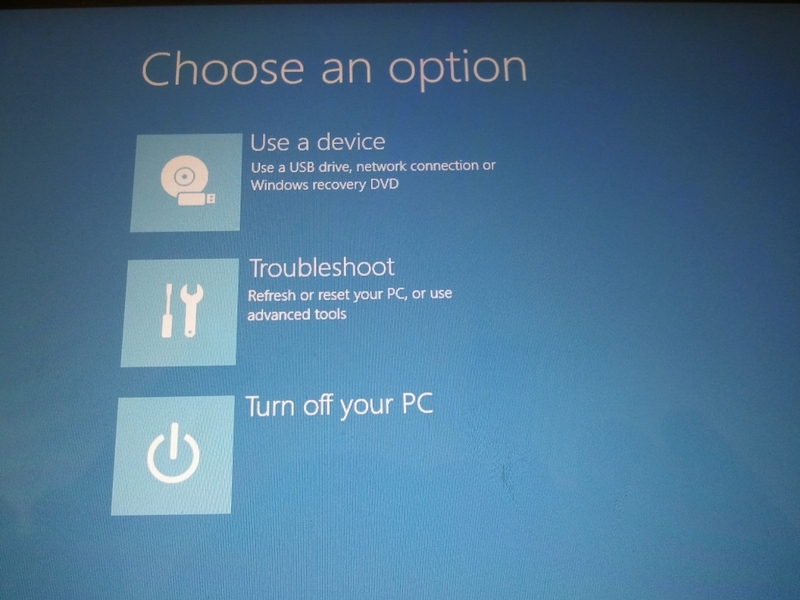 These instructions were specifically for resolving the boot issue with Windows RT tablets. While the steps might work for similar issues with other computers, there are still a lot of other things that can cause the same sort of issues. I assume you are referring to the step where you change to the C: and run the bootrec command? what was/is the actual error you are seeing? Are you able to switch to the C: without seeing that error? I can browse my C:\ dir, I can see my files there. The error comes after using the “bootrec /rebuildbcd” command. When you run the bootrec command (Before pressing “A”) does it show you the C:\Windows entry? 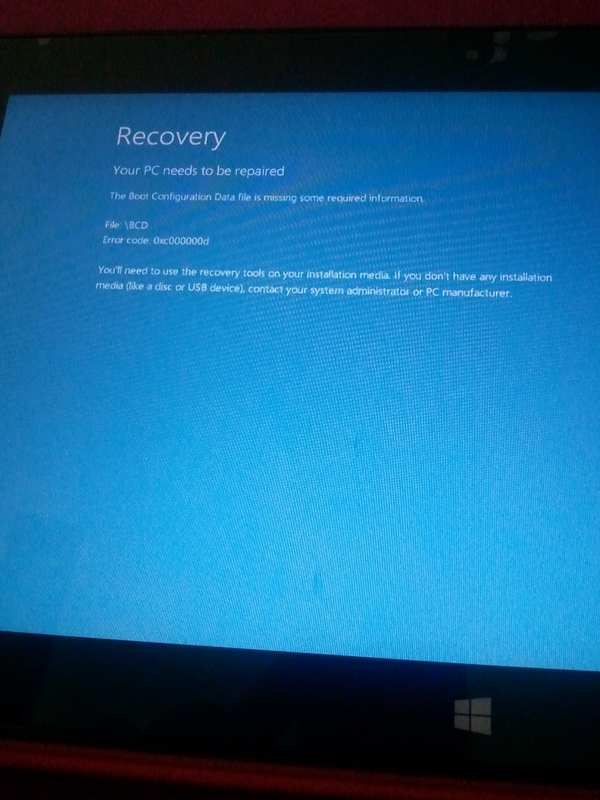 Are you running this on a Surface RT using the recovery image from Microsoft, or are you doing this on a different type of PC using a recover image from somewhere else? Does it present any menu options to select from at all? If not the it means it can’t find the existing Windows installation on the disk. In that case you might just need to copy the files to a USB drive for backup and then perform a reinstall of Windows. In most cases it will just “update” what is already there and keep your data, but make a backup first just in case. Is part of your post missing the question or are you making a comment about something? Many thanks. Your solution works! the recovery image 3.7 GB is too big for me to download. me internet connection has failed to download it for several months. can i get a small media which will enable me recover my surface rt 32 GB. My email is [removed] . Thank you. Sorry, but I don’t have a copy anymore. It would only help (possibly) to get your surface started again, but the mandatory updates will effectively need you to download them all again anyway. The best suggestion I have would be to ask a friend to download a copy for you using their connection. Nice blog post. kindly help in with your guide on the same problem am facing on my dell 7352 win8.1 2in1. i have tired to use the install usb bootable to repair the BCD/Microsoft/BCD error file but its system wont boot after the windows logo only stuck at black screen and for hours it wont bring the language selection. 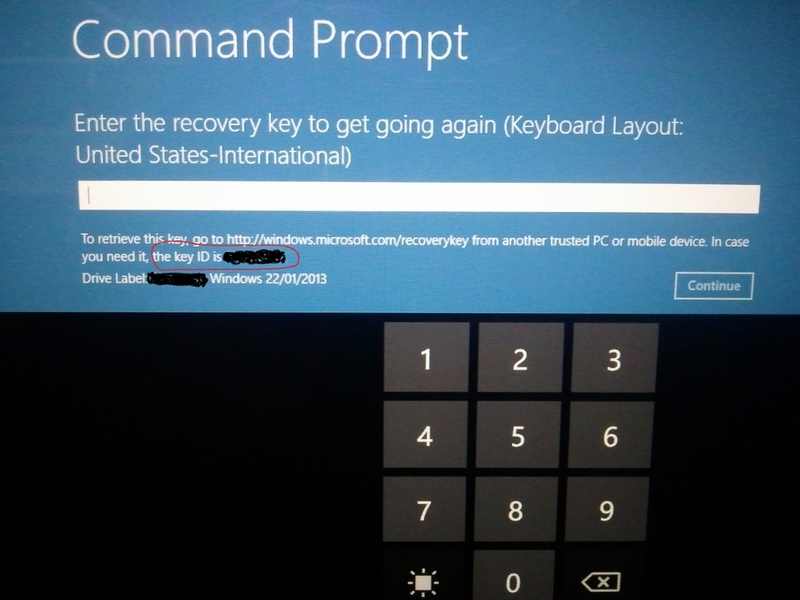 i read your blog to recovery the system with recovery image but windows site will ask for surface key which i dont have cos my system is Dell 2in1. Please advise. i would be glad if you can help with the small bootable recovery drive (about 250MB) you mention on your blog to resolve the issue. It would look like you have a different issue as this party is specifically regarding the WindowsRT issue from quite some time ago. The boot image mentioned in the post won’t help you as it is only for the RT version of windows. If you are able to use your USB key to boot the computer into safe mode then I would suggest doing that to get a copy of any essential files you have. It may be best to try asking Dell support or forums a they may be able to give you more specific advice about this machine. 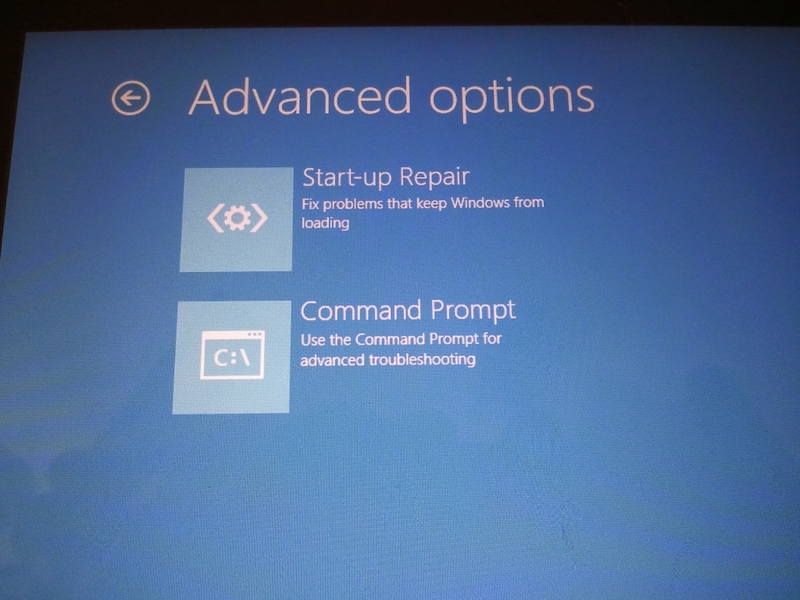 Are you having problems creating the USB key, or getting it to boot on your Surface? Do you get any other errors or messages other than seeing the “Surface” screen? thank you so so much! i really appreciate it. Hey there, I know this is a little old but might as well give it a try. im running a lenovo t430s windows 8.1 and have this problem. Could I use this same method to fix my problem? Does it matter if its not the same laptop as mine? I would say you have a problem that is different but just shows some of the same symptoms. You can certainly try these steps, and while they probably won’t make anything worse, I can’t give any guarantees (use at your own risk etc.). If you use a recovery key from another model laptop, it will either work, or it won’t boot at all. It just depends on the type of hardware and drivers in the other machine. If they are similar then it might be enough to start things up again. Was looking for a pc tut but it worked straight away. Is it work for windows 10 ??? You can do the steps to help recover Windows 10 machine, keep in mind that you may have a different problem to what this blog post was about. I had same issue with window 10 (error 0x000000d). I insert the window installation usb stick and bring the command prompt screen type C: then enter then i type bootrec /rebuildbcd and press the enter key. My laptop booted successfully. I had no recovery image or nothing just window installation usb pen drive. I dont know if that require or not but i done it . 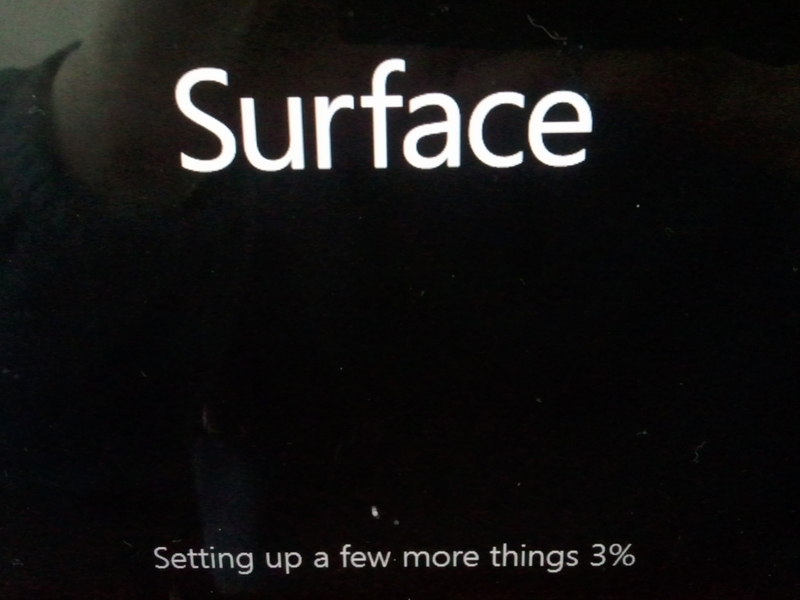 hi scott all i get when i turn my surface on is the is the word surface on the screen and then nothing else happens. any chance of a idea please. ive tried to reinstall windows but nothing happens still. Try holding the button down for 10 seconds to force a “hard” restart and see if that helps. Hey guys, nice blog. Please my Surface RT won’t boot completely, it goes up to display ‘setting up a few more things 3%’ then display an error message in a dialogue box ‘ install Windows’ complaining of ” Windows could not complete the installation. 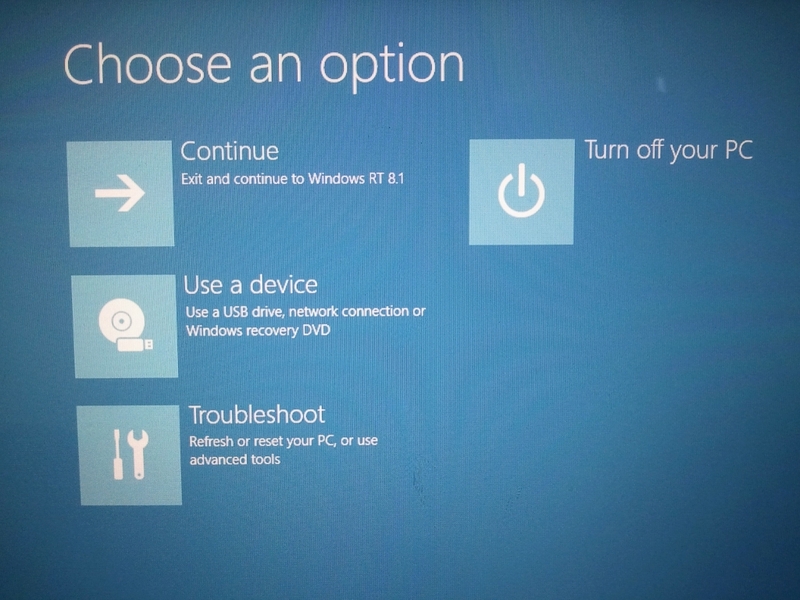 To install windows on this computer, restart installation” and when I click on OK or close the dialogue box it recycle the Process. Please I’ll appreciate help from any who has faced a similar problem or has an idea to help. Thanks in advance as you help. 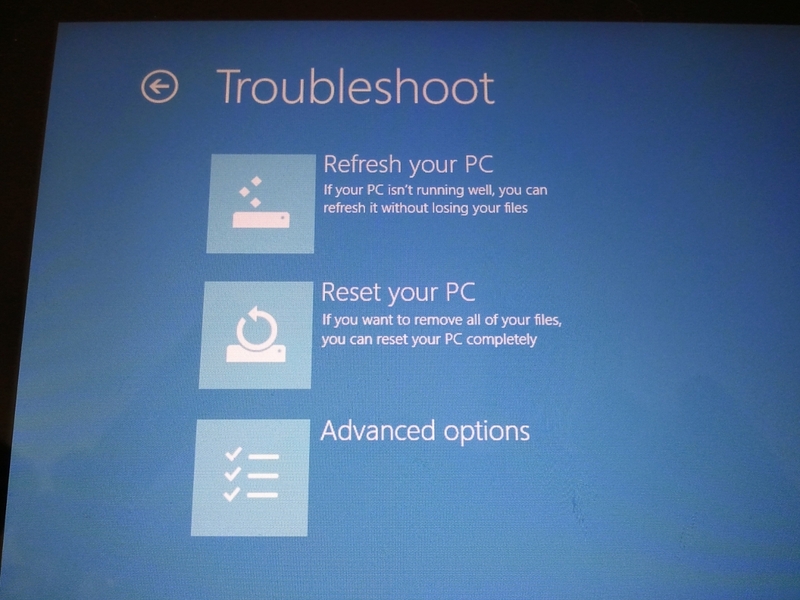 If a restart by holding the volume down and power button to get to the troubleshooting menu doesn’t help you may need to download the recovery files form Microsoft and do a reset on the device. it worked for Windows 10! and i could recover important docs from my office laptop. Thanks a lot! Quickly fixed my W10 desktop PC which suddenly developed this fault.